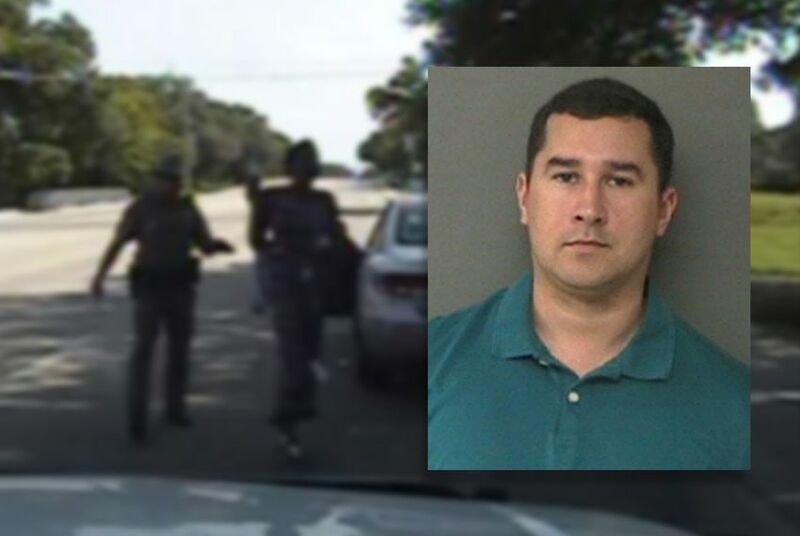 Brian Encinia, the ex-trooper who arrested Sandra Bland in 2015, has had his perjury charge dropped. The prosecution moved to dismiss the charge after Encinia agreed to give up his police license. A state district judge on Wednesday dropped the perjury charge against the Texas Department of Public Safety trooper who arrested Sandra Bland in 2015 after he stopped her for failing to signal a lane change. Bland's death in a Waller County jail cell three days later ignited national outrage. The now-fired trooper, Brian Encinia, was indicted on a charge of perjury in January 2016 for allegedly lying in the report he filed after Bland’s arrest. Waller County District Judge Albert McCaig dropped the charges at the prosecution's request. The prosecution asked for dismissal after Encinia agreed to give up his police license and never seek another job in law enforcement. Originally, Encinia sought to fight his termination. “Brian and his family appreciate the thoughtful review by the prosecutors. Dismissal was the right thing to do. The Encinias will remain forever grateful to their family, friends and members of the law enforcement community for all their support,” said Chip Lewis, Encinia’s attorney, in a statement announcing the dropped charge. In July 2015, Encinia stopped Bland, a 28-year-old black woman from Illinois, for not using her turn signal when changing lanes while she was driving in Prairie View. Dashboard camera video of the traffic stop shows Encinia asking Bland to get out of the car after she refused to put out a cigarette, and, when she didn’t comply, opening her car door, threatening to drag her out, and telling her, “I will light you up.” Encinia and Bland yelled at each other during the interaction, which ultimately led to Bland’s arrest on suspicion of assaulting a public servant. Bland was found dead in her jail cell three days later. Her death was ruled a suicide by hanging. In his report, Encinia wrote he had Bland exit the vehicle “to further conduct a safe traffic investigation.” Focusing on that statement, a Waller County grand jury opted to indict Encinia last January on a misdemeanor perjury charge, punishable by up to one year in jail and a $4,000 fine. Bland’s death sparked calls for reform from activists. Texas lawmakers this year passed a law in her name. The measure, which will go into effect in September, will mandate that county jails divert people with mental health and substance abuse issues toward treatment, make it easier for defendants with mental illness or intellectual disability to receive a personal bond and require that independent law enforcement agencies investigate jail deaths. State Rep. Garnet Coleman, D-Houston, a sponsor of the bill, said in a statement that it was "upsetting" that prosecutors sought to drop the charge. "The trooper's actions were the catalyst for Ms. Bland's death, and his roughing up of Ms. Bland was unacceptable," he said. "... At least Mr. Encinia will no longer be able to be a peace officer in Texas, and do to another what he did to Ms. Bland. He nor anyone should be above the law." Following her death, Bland's mother, Gevena Reed-Veal, settled a wrongful death lawsuit against Encinia, Waller County and several of its employees for $1.9 million. The settlement also called for policy changes at the jail including timely cell checks, on-duty nurses and additional jailer training.